Friday Harbor is the hub of the San Juan Islands. MBYC has sole access to 86 feet at the end of Dock E. The town of Friday Harbor offers the best in restaurants, shops and provisions. Friday Harbor is the perfect gateway as members move northward for the summer. Deer Harbor Marina is a quaint marina located perfectly within the San Juan Islands and is a logical stop as MBYC boats head north or simple enjoy the Islands. An excellent restaurant is within walking distance. Breakfast, lunch and basic groceries are offered at the head of the dock. MBYC has sole access to 110 feet at the end of Dock "C" with views of the harbor and beyond. MBYC enjoys plenty of moorage at Saltspring Marina located at the end of Ganges Harbor. Ganges is the hub of the Canadian Gulf Islands. The town of Ganges offers great restaurants, interesting shops and open market days Tuesday and Saturdays. Many artists reside on Saltspring Island and the arts and crafts reflect their talent. Located conveniently as one of the primary Canadian Customs ports of entry, The Port of Sidney offers a modern facility with easy access to the town of Sidney and marine services. Take the bus to Victoria for the day. 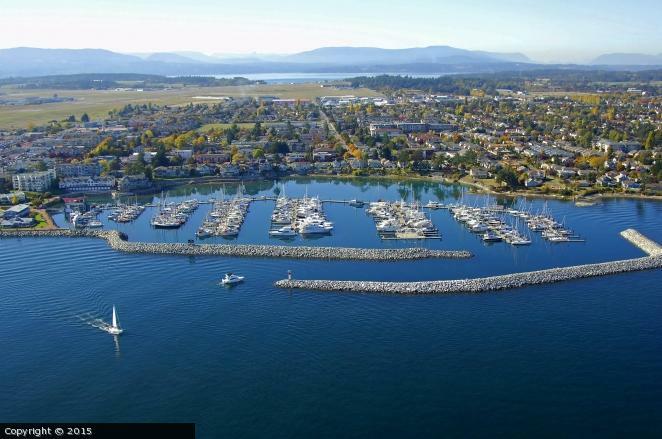 MBYC has just finalized negotiations with the Mill Bay Marine Group with its signature property located northwest of Port of Sidney Marina. Mill Bay offers excellent, over-the-water bistro called Bridgeman's Bistro. Mill Bay is the gateway when heading west down the Saanich Inlet and Butchart Gardens or north through the Sansun Narrows, through the western Gulf Islands. Newly acquired by the Mill Bay Marine Group, the development organization has major renovation plans with upgrades to docks and restaurant. Port Browning is located in beautiful Plumper Sound with easy access to Saturna Island. A short, scenic dinghy ride through Shark Cove will take you to South Pender Island where Poets Cove and Bedwell Harbor Marine Park await exploration.